Video interview providers often advertise that using recorded video interviews in your recruitment process will save you a ton of money. But how exactly does this happen? Let’s start by discussing the most obvious one, time-saving. Since in business time is money, saving time saves money and recorded video interviews save you a lot of time. Depending on your typical hiring process the time savings can be realized in different phases of the recruitment process. Usually, you will spend less time per candidate, and end up personally interview a fewer number of candidates. According to our customers' estimates using video interviews result in about 50% time savings in the recruitment process. Even though this is a simplified example, the mechanism of impact is clear. You will be able to interview more candidates, but spend less time with the most time wearing phases of the recruiting funnel. This means that you will be equipped with more and better quality information earlier in the recruiting process, and this saves time in the next steps. When you implement videos you will be granted another tool for assessing candidate fit. With video interviews you have substantially more information about each candidate. This information helps you make better decisions. Candidates that would otherwise be dropped off the process during the application screening, can now be invited to a video interview since it's vastly scalable. One more invited candidate only adds a couple more more minutes to the video interview screening time. These candidates may totally surprise you with their video answers, and without this opportunity great employees could have been missed. What is also noticeable in the example above is that the time savings exist even if we eliminate the phone screening altogether. This means that using video interviews can save time even when it's not replacing another method. Because video interviews collect a lot of the same information as personal interviews do, using video interviews will result in you personally interviewing fewer candidates. With recorded video interviews, you will maximize your chances of personally interviewing the most fitting candidates. The candidates selected for the personal interview can actually vary a lot compared to the candidates selected without using video interviews. With the additional information gained from the video interviews, your choices can be completely different. Hiring the wrong person can become very costly. It’s not easy to resign a bad hire. 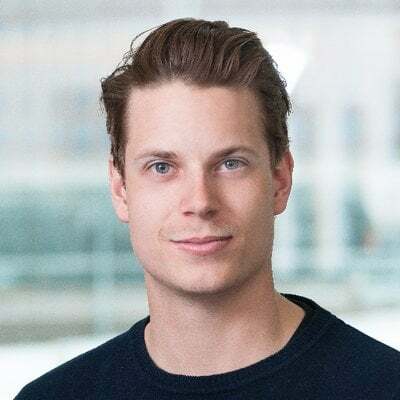 At least in Finland, you have to have clear evidence that the employee has heavily violated the obligations declared on the employment contract in order to be able to resign them. Furthermore, it takes time for an employer to even realize if an employee is systematically not fulfilling their requirements. At this point the employee has already become expensive, not to mention the opportunity cost of not hiring a more fitting candidate. Also, if you end up resigning the employee, in many cases you are obliged to pay a severance package. Isn’t it easier to just make sure that the recruiting process will have the best possible outcome? But it's not only the situations where the hired person is actually causing problems or is a "bad hire". What is important is that you will find the best candidate for you. And the odds to find that candidate are better when you can interview a larger number of candidates. Candidates like using video interviews. According to our 2018 Candidate Survey, 83% of our candidates were somewhat or very satisfied with video interview as a recruitment method. The benefits of an enhanced employer brand are difficult to measure, but in practice, they will present themselves as a larger number of high-quality candidates. Being a modern recruiter and providing your job candidates with a slick recruiting process will help you become a more attractive employer in the eyes of the public. Especially in the age of social media people are eager to tell about their experiences, both good and bad. So make sure that the stories told about you are the previous kind, not the latter. However, the video interview is only one phase of the whole recruiting process and recruiting itself has only a limited impact on your employer brand. So what else can you do? We have written a more comprehensive blog post about employer branding that you can read here. Recruiting processes are different. The time saved by video interviewing depends on several factors; the recruiter chooses how many candidates they invite to the video interview, how much time they spend screening the candidates, and how many candidates they interview personally. 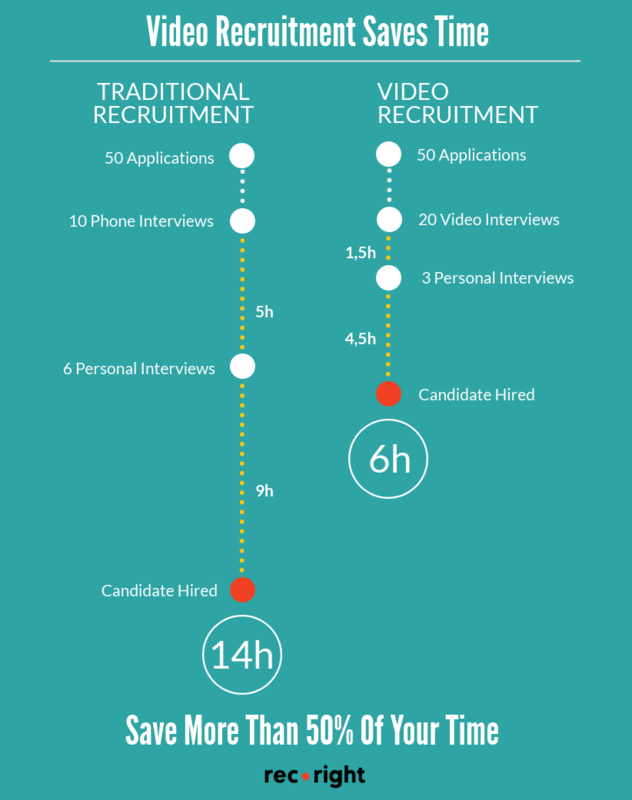 But since you can interview a larger number of candidates on video, you'll manage by interviewing a fewer number of candidates face-to-face. 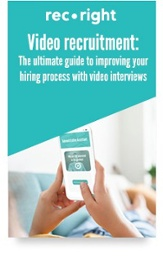 Recorded video interviews provide the recruiters with an easy-to-use method that will make their jobs easier by providing more information to ground their decisions on. This information will help recruiters make better decisions and provide candidates better chances to prove their competence. If you are interested in learning more about how you can enhance your recruiting process, take a look at our free Modern Recruiter Handbook. It's a hands-on guide that explains the principles of lean recruiting and how to become a more effective recruiter.